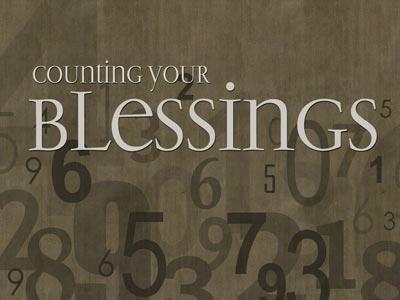 One of the most important qualities we can develop as a Christian is that of "Thankfulness!" There are few characteristics that will influence our lives more than this one ... it can affect every area of our lives positively if we are careful to nurture it in our life! For the Christian this characteristic should not be an option ... this is to be a quality that defines us in this world! "THANKFULNESS" as a major quality of your life!! 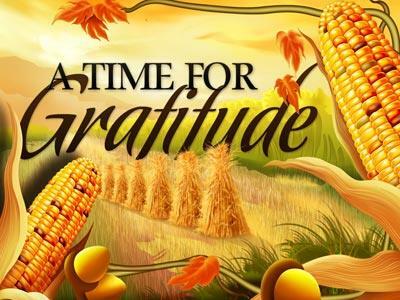 The Bible teaches that "GRATEFULNESS" is the normal quality of a Christian’s life ... without it our Christianity would be warped and unproductive! Many times we offer thanksgiving to God only after our prayers have been answered! Dan. 6:10 Now when Daniel knew that the writing was signed he went into his house; and his windows being open in his chamber toward Jerusalem, he kneeled upon his knees three times a day, and prayed and gave thanks before his God, as he did aforetime. Daniel went home to pray and “GIVE THANKS TO GOD AS WAS HIS CUSTOM” ... IN the midst of trouble even when no answers were in sight Daniel still gave thanks to God in prayer! Many of us our prayers at such a moment would have consisted mainly of requests and petitions to the Lord ... Daniel’s prayers were mostly THANKSGIVING! This was the great secret to Daniel’s life of power and victory! 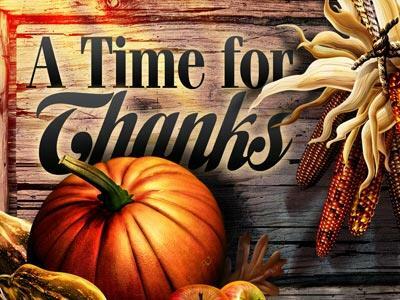 If we included more thanksgiving early in our prayers our petitions would have greater force ... God responds much more clearly to people with THANKFUL hearts than those who do not have one! Notice we pray and give thanks to God before our meals, not after! What follows prayer with thanksgiving – PEACE OF MIND! Philip. 4:7 “And the peace of God, which passeth all understanding, shall keep your hearts and minds through Christ Jesus. Our faith would be revolutionized ... and our complaints diminished if we took seriously this command in 1 Thess: 5:18 "THANKFUL IN ALL CIRCUMSTANCES!" Too often we wait until we get the answers we want to offer thanks to God! Learn IMMEDIATE THANKFULNESS ... don’t always wait for the answers! What do I thank God for, is it open ended or are there exceptions? c. Do I thank Him when people I don’t care for are blessed? It is not so much giving thanks for the pain or loss ... but for the good that our Lord can bring even out of terrible circumstances! It therefore is not a denial of suffering, it is not the absence of tears when hurt comes, it is JUST THE CONFIDENT KNOWLEDGE THAT GOD WORKS OUT HIS GOOD WILL IN US NO MATTER HOW TERRIBLE THE ORDEAL - TRUST! we are not walking around with a silly grin on our face trying to pretend we don’t hurt or are not confused ... but we hold steady in our faith knowing God will bring fruit out of pruning, that something good can come from trials! Sometimes trials can simply be God’s way of keeping us from greater dangers or harm, even when we don’t see them immediately! Unthankful ness will rob us of our confidence in God ... and the joy and peace of our salvation! Why is it so important for Christians to be THANKFUL people all the time? Because the Bible teaches that the spirit of the age in the last days will be characterized by UNTHANKFULNESS!